1. Visit The Chester Zoo Nature Reserve. Chester Zoo have recently opened a huge nature reserve just outside of the main zoo and it’s free to enter. The new haven for wildlife is around 60,000 square metres and will act as a protective habitat to a range of threatened British species. Families can take a walk through the reserve’s fully accessible nature trails and spot a variety of species. 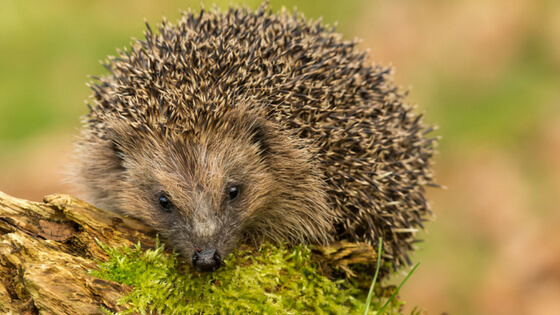 Some animals known to already habitat the land are kingfishers, hedgehogs and harvest mice, with the occasional sightings of otters! Find out more about this fun and educational day out here. 2. Take a Trip to The Tall Ships Regatta at The Albert Dock. 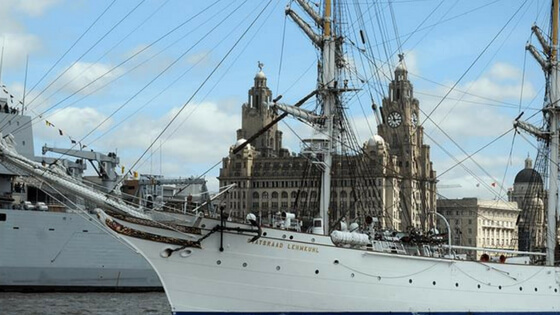 This May bank holiday weekend the Mersey River will play host to some of the most beautiful and evocative Tall Ships. Visitors will be encouraged to step on board the magnificent vessels for a closer look which is sure to be a special treat for the kids. A highlight of the event and not to be missed will be the fantastic parade of sail on Bank Holiday Monday, May 28th when the Tall Ships will make their way up and down the River Mersey. Along side this there will a number of street performances and live music sure to dazzle kids of all ages. Don’t forget, the tall ships regatta is a free event! For more information click here. 3. Listen to Whale Story Telling at Mann Island. Yet another free event taking place over the half term is the amazing whale sculpture in Liverpool city centre. 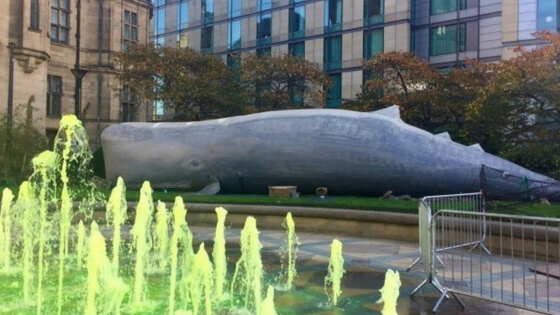 A life size sperm whale is landing at Mann Island and is full of surprises! This event which is part of the Tall Ships Regatta will feature six 30-minute storytelling sessions each day for under 10’s. Kids will be kept entertained by the whale itself who will bellow out tales of mermaids, treasure and pirates! For more information about this fantastic one-off event, see here. 4. Take Part in Liverpool Museum’s Family Activities. Liverpool’s abundance of museum’s offer a ton of free exhibitions and things to do for families. 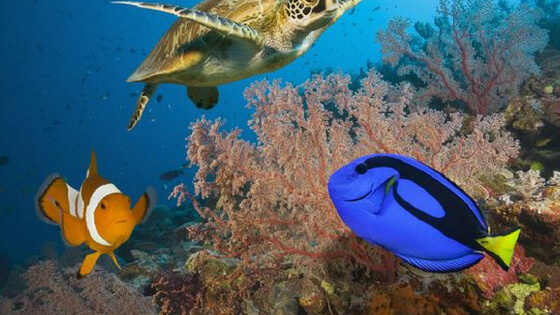 Take a dive into the world museum aquarium and come face to face with characters from Finding Nemo. You can also become a Rummage Officer at the maritime museum with their fun hands-on family activities. This May half term, Liverpool Museums are pulling out all the stops, with a range of extra crafty and educational workshops taking place throughout the week. For more information on what’s on and where, click here. 5. Visit one of Liverpool’s Beaches. Liverpool is lucky to have so many seaside locations that are perfect for the family to enjoy a day by the sea. This half term take the family to New Brighton where you can have a picnic in Vale Park or even go crab fishing on the pier! 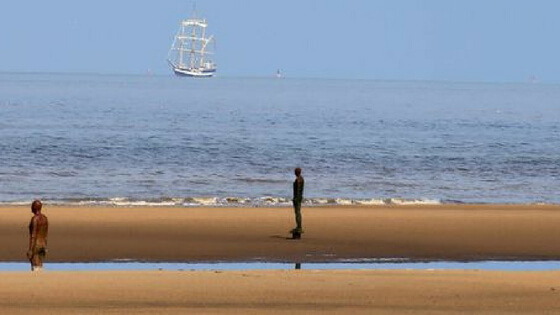 Another great seaside place for the kids is Crosby Beach, with it’s iconic Iron Men. Snap a selfie with the famous Antony Gormley art installation and take a stroll down to the park and play area. Whatever the weather, there’s plenty of beaches and coastal paths to keep the kids entertained and tire them out for a good night’s sleep. 6. Go Boating in Sefton Park. Set just outside of the city centre, this 235-acre park is a great option for a day of family fun. Take a stroll through the Botanical Gardens and gaze at the mighty plants in the Palm House, go boating on the lake and feed the ducks, or skip around the waterfalls and stepping stones of the magical Fairy Glen. There’s also a large children’s play area and loads of space to run about. Better yet, since it’s not in the city centre, parking is free all around the park. 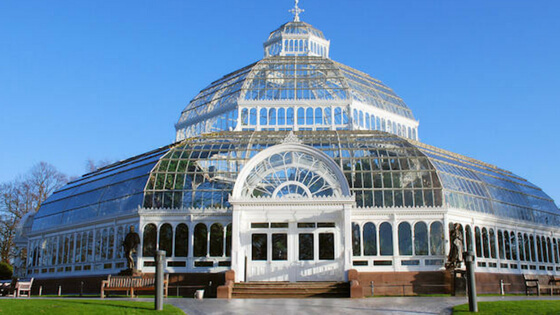 To find out more about what’s on at Sefton Park, click here. Planning a family trip to Liverpool or Chester this May half term? 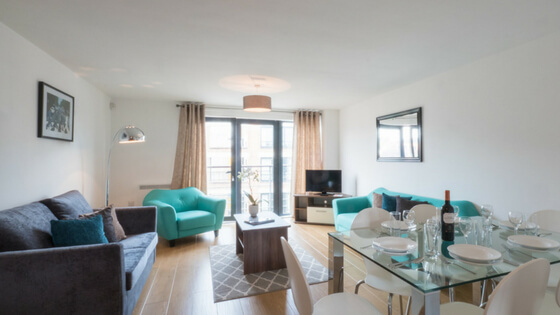 Relax in your very own home from home in a serviced apartment in the heart of either city centre. 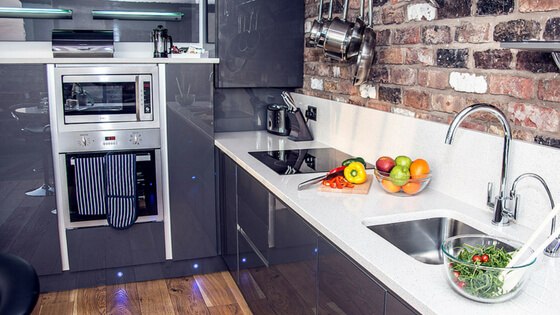 All of our apartments come serviced with everything you need for your stay, allowing you to cook family meals in our fully equipped kitchen while the kids relax in the living area after a fun day of activities. Contact us directly for the best available rate and book your next family trip with Base. To check availability, click here. Or call our friendly reservations team on 0151 702 9222 today.